Which way did it go??? The old stuff can be found on the Old News page. Terry Stader's Scanning in our area! Freq of Nature Just an amazing site! Cape Cod Fire Visual Feed (Tim Caldwell's Windows Media Stereo feed of Cape Cod Fire Departments) More Info New visual display! Live Boston Area ATC (3 separate 16K streams Boston Clearance/Ground/Tower, Boston Approach/Departure, Boston Center ) New!! The tenth edition NE Pocket Guide is a must. I have a copy within reach of every scanner I own. 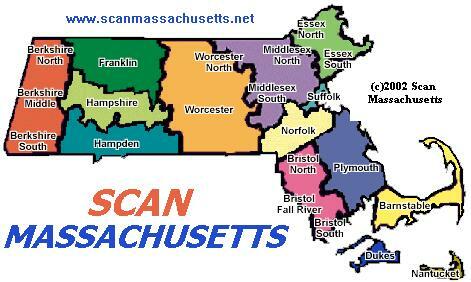 They can also be purchased online here or at You Do It Electronics in Needham MA.